We can safely say wearable technology is a very sound investment. The growth of the wearable technology market according to IDTechEx, providing independent market research & business intelligence on emerging technology in 80 countries since 1999, looks impressive. slowing to 10% to reach over $150 billion by 2026…..really a concern now? With wearable technology, we have finally made health fun and engaging. Being proactive about our health is no longer a miserable task – but it is captivating, motivating, competitive…..and uses technology – which studies prove is appealing to all ages. 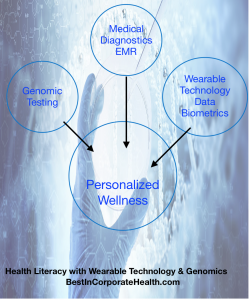 Even if you are not tech savvy – wearable technology still provides insight, engagement in our health and intrigue. Nothing is a catchy and contagious as intrigue…. Health care literacy is the ability to obtain, process and understand basic health care information, facts, and services needed to make appropriate health care decisions. The American Medical Association reports that health literacy is a stronger predictor of a person’s health status than age, income, employment status, education level or race. Only 12% of U.S. adults had proficient health literacy. Over 1/3 of U.S. adults—77 million people have difficulty with common health tasks, such as following directions on a prescription drug label or adhering to a childhood immunization schedule using a standard chart. This costs. The lack of health literacy costs the healthcare system, companies…and of course a lack of health literacy is costing lives. Reliance on reactive health care will hamper physicians’ ability to anticipate, diagnose and treat disease. We just need to help people choose the right device – and guide people to use it for much more than counting steps. 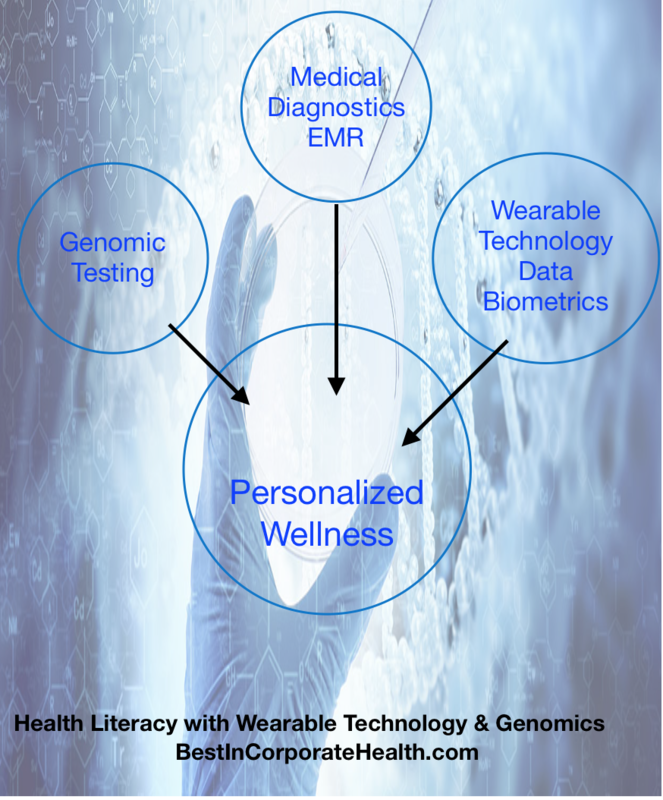 Provide our employees with the right wearable technology – and provide them the education to harness the power of their own biometrics – to increase their health literacy and become more proactive in the own wellness solutions. The popularity of wearable devices, no question has exponential growth…but far too overlooked is exponential health literacy potential. Experts predict that wearable technology will see record U.S. sales in 2017, with 35 million units in sales. Global sales were estimated to be as high as 274 million devices in 2016. People cite health as a top motivator for using the new wearable technologies. Omitting wearable technology from an employee wellness/ employee incentive program is an error in the employers’ overall wellbeing strategy and health literacy initiatives. The idea of wellness programs is to encourage employees to be more proactive about their health. Health literacy is often assumed and overlooked. Connecting the dots…...Education. Choose the right wearable device and design your employee wellness program around the understanding of the data – truly helping employees make better choices…let them see and feel the difference health makes….Now that is how we create engagement…..
Don’t pay for the POP or the marketing…Invest in the most thorough device available – measuring the most biometrics for a thorough overview of health. Our health solutions are NOT one size fits all, nor should your wellness programs be. Biometrics Incentivize with wearable technology Live Interactive webinars FUN, determined by your employees health data….and did we mention the webinars are included in the discounted price of the wearables? 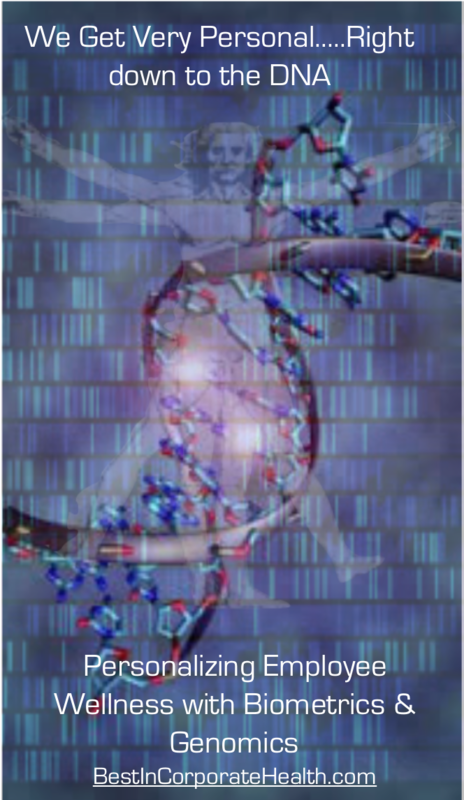 Yes…..We get VERY personal……right down to the DNA….